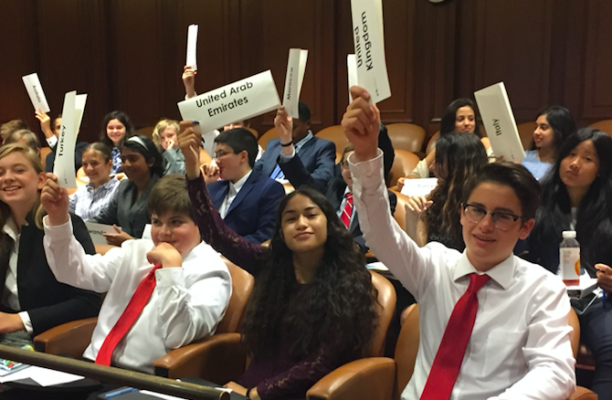 Run by high school students of Commonwealth School, COMMUN III is an excellent opportunity for middle schoolers to attend a Model UN conference and refine their skills while having fun. 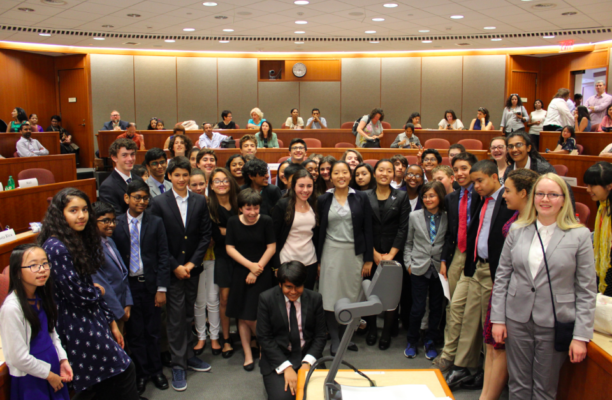 Delegates will find experienced chairs, intriguing discussion, and, most importantly, new friendships that will last a lifetime. 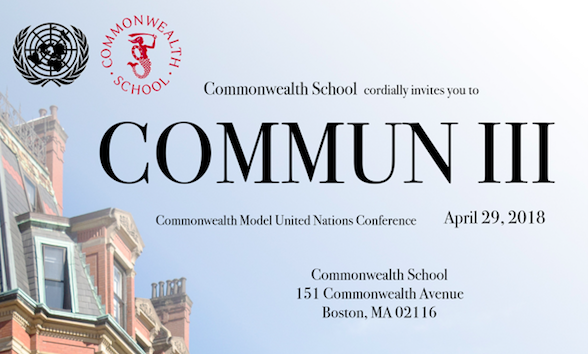 COMMUN is held on the campus of the Commonwealth School in Back Bay, easily accessible by public transportation (Copley on the Green Line and Back Bay on the Orange Line). This experience is guaranteed to be both educational and inspirational for delegates, and we hope you leave thinking about the crises around the globe and various solutions to those problems. COMMUN is not only a great place to nurture those thoughts, one in which you are encouraged to open your mind and see what is happening in the world.